Gloucestershire made it three straight wins in their South & West Counties Championship campaign, after edging Wiltshire 4-3 at Fairford Town FC on Tuesday evening. The hosts made the table-toppers fight hard for the win though, having been 2-0 up. Mia Mugford opened the scoring and although Angel Moores made a good stop to retain the advantage, a deflection then doubled Wiltshire’s lead. But Gloucestershire halved the deficit before the break and then pulled level, after Moores had again done well to earlier deny them a second goal. Wiltshire would have regained the lead but Mugford struck a penalty against the crossbar. It was instead the visitors who scored their third goal first, rounding the keeper to fire into an empty net. Mugford did then double her tally to make it 3-3, only for Gloucestershire to grab the winner. 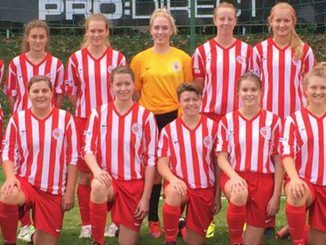 Scorers for Gloucestershire were Marika Niekowal, Abby Rose and Abi Todd (2). 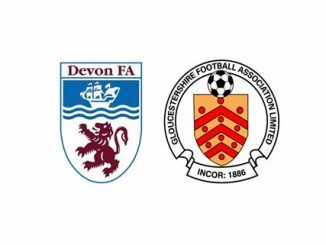 Next up on 6th September is a clash of the top two at Almondsbury, with the leaders taking on the reigning champions Devon.